If you are reading this, it is likely you follow me on social media and know that we welcomed our newest addition to our family of now four. What joy! 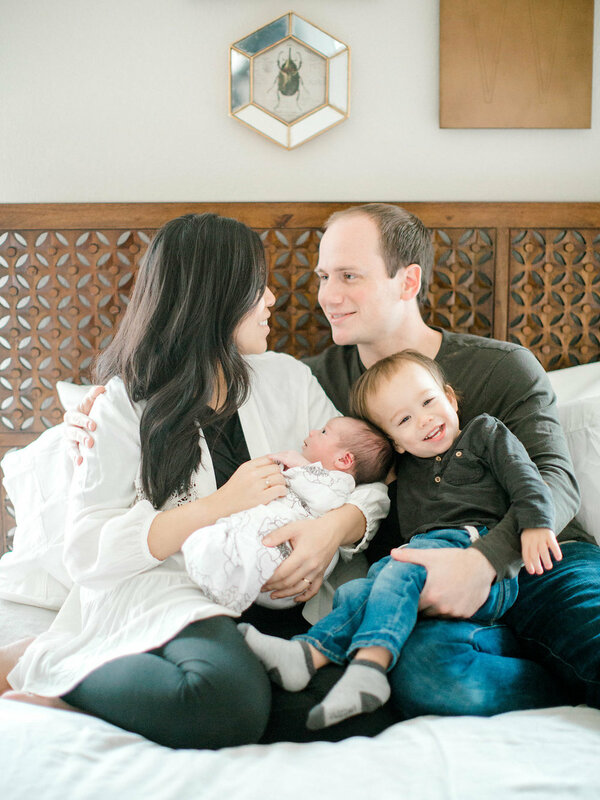 With the holidays now over, engagement season in full swing, and now newborn life upon us, I thought I'd take a moment in all the free time I have (insert LOL emoji here) to give you a glimpse of what we have been up to. Two is my favorite number. I do not have a particular reason why or magic story behind it, I just like the number. So when my first baby, Liem was born on February 10 at 22:22 (military time), I found that to be pretty neat. My second, Marigold was due on December 22, but waited until January 2 to even begin her way into the world. (Birth story to come soon!) All this to say, I find 'two' to be a recurring number in my life lately. Two weeks with two under two and my goodness have we learned and discovered a few things. Many have asked how we are doing and what life is like with two littles in our house. I can say there is more exhaustion, sometimes the days and/or nights are longer and the energy seems to continue to deplete, but the love and joy in our family is in overflowing. This is one of the biggest things I have had to grasp lately. I do not do well with change in general and there has been so much for all of us. When you have your first baby you're learning how to ebb and flow with one another, how to function on little to no sleep, and just your new role of being in charge of a tiny person. With your second you have already found the rhythm with one but now you have to figure out how to keep that going smoothly while adding in another beat and sometimes, it is just hard. It is physically demanding but also very emotionally intense, especially for your first born. Learning the boundaries and how to live around a new sibling is a lot to take in and as parents we really have to be mindful of his developing heart. I learned this late into Liem's first year as I was working and stressing my tail off with breastfeeding and being a work from home mom. It is very easy to get lost in caring for someone else that you forget about yourself. The best advice I received during my struggles was "a well nourished and mentally-sound mother is the best care a child can have" and that has resonated with me since. I realized I was focused on the wrong things and was too exhausted to even find joy in the simple things of motherhood so I had to regroup. Now with two, I do not fight as hard. Not that I am not as intentional in my parenting or health choices, I just know my limits and do what I need to do to make sure I can be of sound mind. For me this looks like adding another day in the week where Liem will go to the babysitter (although I felt so guilty at first), choosing a nap over sweeping and picking up, and simply letting myself rest. I was in such a rush to get back in the swing of things, I forgot that I just grew a human and birthed her- my body is tired and needs to recover! Another important factor to all of my self care is my loving husband. I have to make a note of this because you guys, Adam is a true MVP. I always get to shower and dry my hair everyday as I know this can be a luxury for some. He is mostly responsible for Liem right now as I get some healing, bonding and care time with Marigold. But he has already had both children by himself so I could run an errand and he actually dared me to go and leave him- that is some confidence because I still have a bit of fear of caring for both alone! What I am saying here is that it does take teamwork and the more of it you have, the more sane you both can be. A piece of advice, or motto even, that follows you through your entire parenthood. I think our parents can say that is what they did with us, and sure there are so many more resources we have nowadays but sometimes there just aren't answers and we have to just survive. Forget housekeeping, I'll just leave that at that. Lately there have been a lot of shows. Yes, shows. Those that know us know that we worked very hard to have Liem screen-free and while he is still limited, we have found that sometimes we just need our busy guy to sit still and be occupied for a few minutes so in comes the shows. Especially since our Texas weather has been so frigid lately and limiting our outside play time. Some days routines are slightly off, but we roll with it. Some days our meals consist of just berries and cheese, but we roll with it. Just survive, just survive. When we were in the hospital with Marigold, we reminisced our experience as first time parents with Liem- how timid we were, how little we knew, and just how foreign everything was. This time around we knew the different things to ask and what was really of concern and what was "normal". It was refreshing. And maybe I can say that your skin is a bit thicker. You can understand what is a true cry that needs you, or when it is just baby knowing no other way to communicate so you just let her release for a little bit. 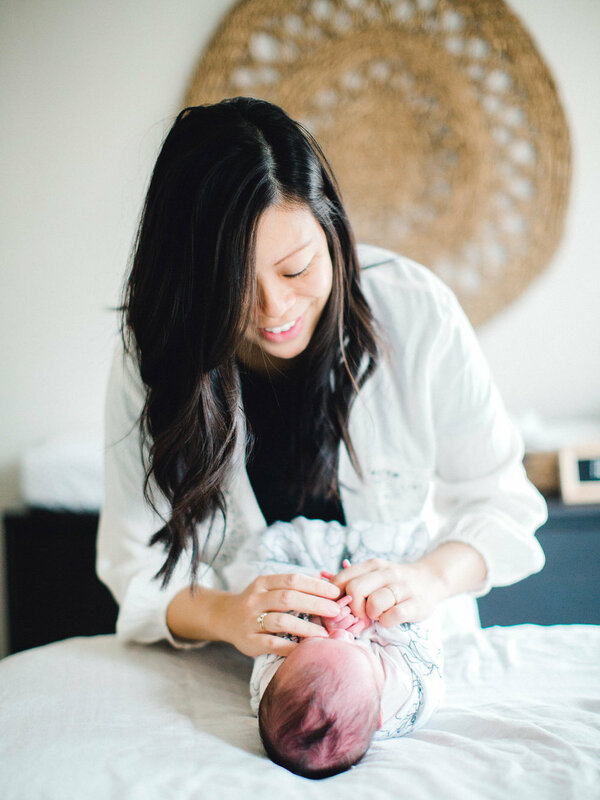 Diaper changes are autopilot mode and you know the tips and tricks to dressing a wiggly newborn. Now I like to call us "seasoned parents". And finally, grace upon grace. Allow yourself this and soak in it. Nobody is perfect and nobody requires you to be, thank goodness we get to be human and leave all the perfection to our Father. Sometimes you will stumble as we already have and it has only been two weeks. But you will just get back up and get back to dancing. Is life crazy with two? Well? Is life ever not crazy? All I know is that I would never trade this for anything. Are there times I miss going out on a whim with friends or impromptu date nights? Absolutely, but this is where I am at and I love it. The cuddles, the bisous (kisses), the tantrums, I will take it all. These kids keep me on my toes and teach me so much everyday, I am honored to have been placed in their lives as their Mommy. Hi! I'm Linda. Wedfully Yours is a boutique floral and event coordination firm, offering full floral design, along with month-of coordination and full scale event planning and design services.